WRI is a native reclamation and forage seed company with a strong emphasis on “Native”. When WRI was established in March of 2006, the owners recognized the importance of vertical integration. The cooperation created between production, processing, marketing and operations has established a way of conducting the business that produces high-quality seed at competitive prices. WRI is a small group of people who are some of the most experienced seedsmen in the Western United States, especially when involving irrigated production systems for native seed. This emphasis on production ensures so much more than a slick marketing campaign or a fancy bag. It ensures quality seed in every bag. WRI provides seed into the wholesale and retail seed markets as well as to government agencies in the Western United States. With emphasis on cool season grasses, WRI focuses its sales effort on the re-vegetation of lands affected by disturbances and providing forage in all types of habitats including grasslands, shrublands, forestlands and riparian areas. Seed sold by WRI is primarily indigenous to the U.S. and North America. However, when applicable, WRI utilizes non-native species to achieve land use goals and provide for the needs of its customers. WRI provides many of the varieties available through the Plant Material Centers. These varieties were developed by the PMCs to provide adaptable native and introduced species for large-scale projects throughout the country that occur each year because of fire, development, habitat loss and farm programs. The varieties include primarily cool season grasses from the Western United States, but many include at times warm season species such as Galleta grass and Switchgrass varieties. WRI also raises several different forb species such as Yarrow, Blue Flax, Gailardia and Prairie Clover, to name a few. Land managers can look to WRI for production of their specific germplasms if they desire a more precise fit of a given species into their unique habitats. With many years of experience producing source identified seed, WRI is one of the most capable producers of sourced seed in the native seed industry. Despite the difficulties of dealing with small plots, WRI believes that the customer drives the market and it is WRI’s goal to provide their specific seed needs. Seed from WRI is produced by a few select growers in Washington State’s Columbia Basin. Long known for its excellent growing conditions and diverse crop rotations, the Columbia Basin continues to be the greatest contributor of grass seed into the native seed industry. The growers’ combined experience provides for secure production and high-quality seed year in and year out. Without the production of native grass seed in Washington State, many of our landscape-scale restoration projects would not be completed. We are thankful for our producers and we salute their efforts. WRI has the ability to serve a large and diverse customer base. With our large inventory of species and blending capabilities we can react to our customers needs with quality product and prompt service for straight seed and custom-mixed seed products. 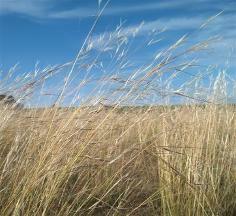 WRI would like to help you make a difference with your land stewardship projects. 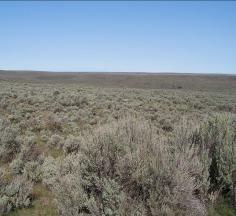 If you have a need for native seed, call Western Reclamation, Inc.